As more Singaporeans crave wholesome, home-cooked meals but are too busy to prepare them, William Seow saw it as an opportunity to bring stay-at-home cooks and hungry professionals together through a convenient buy-and-sell app for foodies. “See it as the Carousell for foodies,” said Seow, the co-founder and owner of Share Food Singapore. 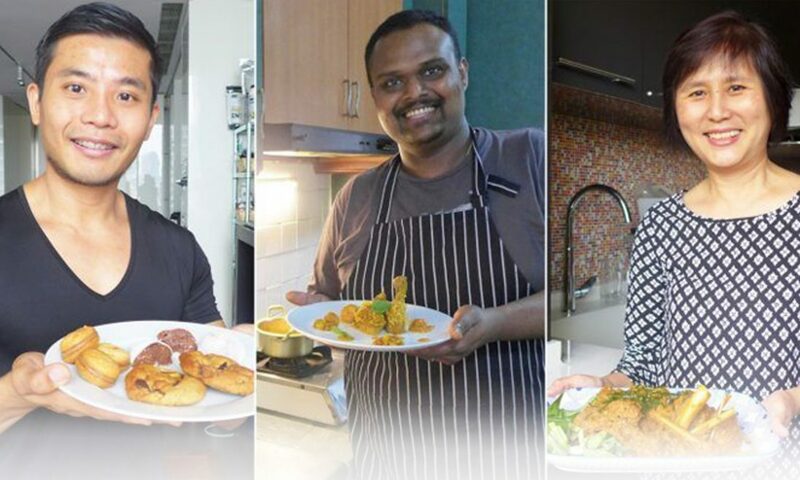 He explained to Yahoo Lifestyle Singapore that home cooks, some of whom are full-time chefs, register themselves as cooks on the app after going through a basic food hygiene course under the National Environment Agency (NEA). They then create a seller account that promotes their home-cooked specialties, prices and location. 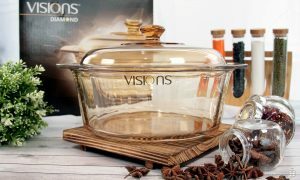 “Many (Singaporeans) yearn for home-cooked food, but due to various commitments outside of home, (it) is just a dream for many. The Share Food mobile app allows foodies to savour the taste of home-cooked meals easily, and that meal could just be a short two-minutes’ walk away,” said the app’s co-founder Loo Pei Wen. Through the app, customers can browse for home-cooked meals based on type of cuisine and location. To make things even more convenient, the app also indicates the travel time between the customers’ and cooks’ homes. An internal messaging feature allows customers and cooks to clarify on the price, food portions as well as meeting points. Beyond feeding hungry millennials in Singapore, the app also helps home cooks to cut down on food wastage while earning additional income. For chef James Satya, 31, who cooks for hundreds of patrons at Luke’s Oyster Bar and Chop House each day, downsizing his portions when cooking at home becomes a struggle. “My wife and I end up having a lot of food left because I’m so used to cooking for a lot of people. It’s not easy reducing the portions of your ingredients as it might affect the taste. Sometimes, what makes food taste good comes from cooking them with big portions of ingredients,” said Satya, who lives in Ang Mo Kio. His specialties are mutton briyani, which costs $4 a plate, and butter chicken. Unlike the butter chicken at many Indian street food stalls that tend to change the ingredients to cut down on cost, James sticks to the original recipes. “Sometimes these stalls don’t use cashew nuts in their butter chicken because they’re too expensive,” he said. For housewife Josephine Go, 53, cooking has been her passion since visiting Hong Kong about 30 years ago, where she discovered Cantonese cuisine, as well as her husband – with whom she now has two children. As the family’s sole cook, Goh takes her cooking seriously, ensuring that her meals are healthy and tasty. 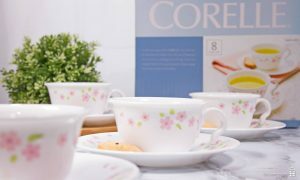 She believes that home-cooked foods will be a success among the growing health conscious and busy Singaporeans. Goh’s specialties are mutton rendang and beetroot cupcakes. “Some of these places don’t even serve authentic foods even though they claim to be. My mother was a serious cook as well and is very particular about the authenticity of her meals. The same goes for me… we’d only go out to eat foods that I don’t have the skills to make, like Italian risottos,” said the stay-home mother, who also lives in Ang Mo Kio. For fitness junkies with a sweet tooth, Instagrammer and baker Wyatt Tan, 33, serves up protein-rich chocolate and peanut butter cookies. He uses sugar substitutes and lots of protein in his bakes, which also include birthday cakes and macarons. Share Food has a total of 100 home cooks registered with them so far. For those concerned about the legalities of the emerging F&B business concept, Loo said that “if home cooks abide by HDB/URA’s home-based small-scale business scheme and observe proper food handling, then there are no major worries to be concerned about”. Food safety and home-based business schemes being overseen by the NEA, the HDB and the Urban Redevelopment Authority. 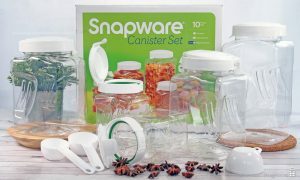 We are giving away free kitchenware! 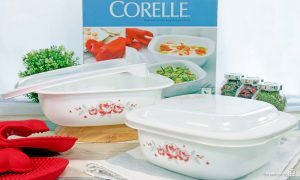 Corelle tea sets and casserole, Snapware and Vision pot are up for grabs! 3) In the comment section, write down your username. "E.g. Find me on Share Food : Share Food Singapore"